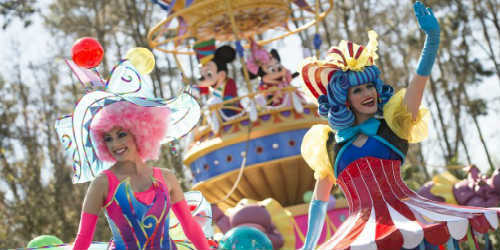 Walt Disney World announced this week that they would be debuting their new much-anticipated Festival of Fantasy Parade on Sunday, March 9 at the Magic Kingdom. This parade replaces the Celebrate a Dream Come True Parade, which ended at the beginning of this year, and it is full of whimsical and colorful floats and characters. Each float will be done in a different style, appearing as though the characters of that enchanted land may have had a hand in crafting them. I don’t know about you, but I’m really looking forward to seeing this new parade. It looks really fun. 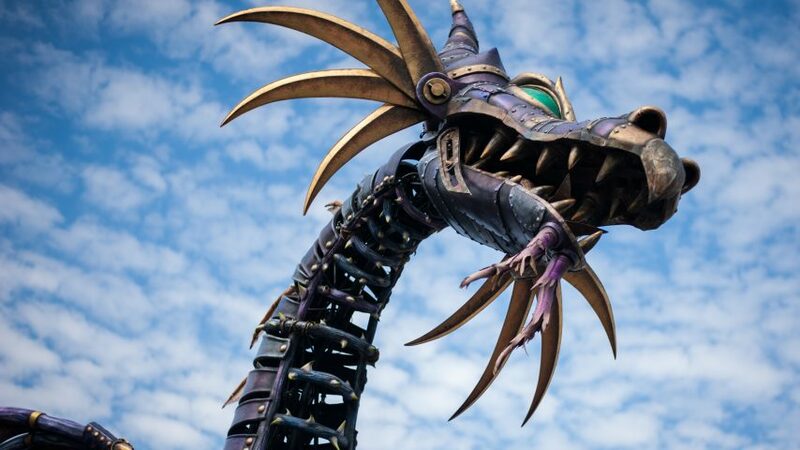 The Festival of Fantasy Parade will debut at Magic Kingdom sometime this spring, but Walt Disney World has offered up a sneak peek at the Maleficent float. 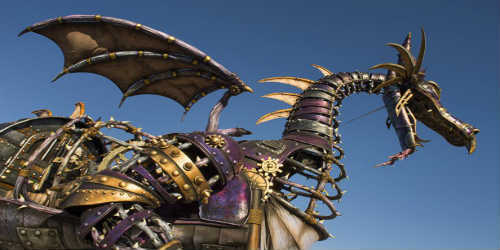 This steampunk-inspired dragon is 35 feet in length and over 26 feet tall. 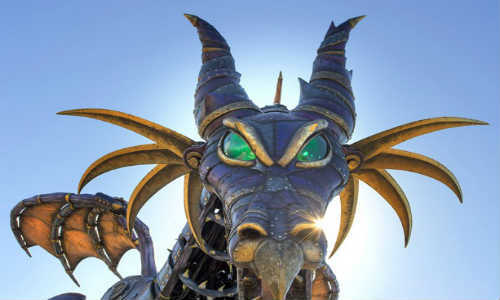 It was designed in partnership with Tony award-winner Michael Curry, who previously worked with Disney Parks on projects such as the “Tapestry of Nations” parade at Epcot and “Finding Nemo – The Musical” at Disney’s Animal Kingdom. Each float will be done in a different style, appearing as though the characters of that enchanted land may have had a hand in crafting them. What do you think of this float?